Do you want to become an accountant? Are you wondering what training path is best for you, university or an apprenticeship? Then you need to carefully consider the huge benefits of apprenticeship training. You’ll gain skills, a qualification, earn a wage and gain invaluable work experience. Below we explore in greater detail why you need to consider an accountancy apprenticeship as a positive alternative to university. One major benefit of accountancy apprenticeships is that you do not accumulate any debt, unlike university. Undertaking an accountancy apprenticeship means that you are financially better off. When you begin your journey as an accountant with an apprenticeship scheme, you’ll be earning while you work, with no nasty course fees to pay. What’s even better is that many apprentices choose to stay with the same company after they finish their course. Accountancy apprenticeships that come with AAT accreditation are much sought after, as this qualification is recognised all around the world. While training you will gain up to date skills alongside the job training that covers managing cash flow and daily budgets. At the end of your training, when you have the AAT qualification, this will also enable you to access a fast track chartered accountancy course. AAT membership also comes with the benefit of being able to join accountancy bodies, such as ACCA, at a reduced rate. You will start to earn from the very first day of your employment. An accountancy apprenticeship is a great choice when you need to earn a steady income, in order to pay your rent or a mortgage. Financial commitments need to be met, and an accountancy apprenticeship allows you to do this while working. What’s even better is that as you progress through your apprenticeship, you will gradually begin to earn more. Another huge benefit is that you will also get holiday pay and other staff entitlements. You’ll be able to study in the job, as well as in a classroom setting. Being able to work alongside other experienced accountants in an industry environment is hugely beneficial. This will teach you the everyday basics, as well as learning from those who have years of experience, which is often the best way to learn. While in the workplace you’ll also be able to form links and be able to network with other professionals, placing you at a great advantage. Accountancy apprenticeships provide a practical and relevant learning experience. This is a wonderful way to kick start your financial career, in the very thick of the action. The accounting industry is a popular choice, and knowledge and qualifications alone are simply not enough. What you need is an on the job experience that allows you to work on real cases with real clients. When you complete your apprenticeship you’ll have acquired experience that you can add to your CV. Where would you like to work when you complete your apprenticeship? If you want to go down the chartered accountancy route then you’ll be able to do so, as your qualification enables you to undertake a wide range of accountancy roles. So, the accountancy world is very much open to you. Accountancy apprenticeships allow you to gain qualifications and on the job experience. Enabling you to work with clients and get paid for it! It’s a far superior choice to a university course. 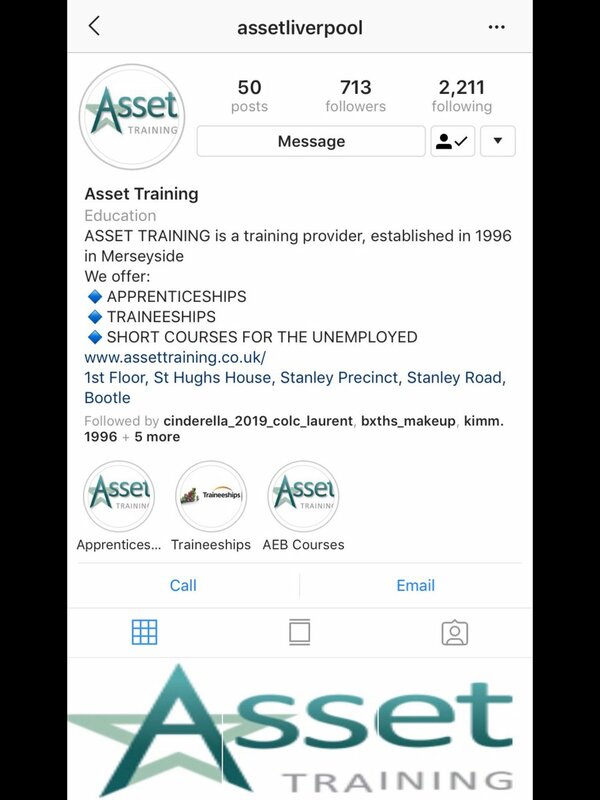 To find out more about accountancy apprenticeships in the North West, then please do get in touch with us here at Asset Training today!